In this view looking south (railroad direction east) from the Northern Pacific's Yakima, Washington station we see the former freight station at left (now a private business), with the Yakima Avenue grade crossing just beyond. The hump in the distance is the overpass over East Walnut Street. 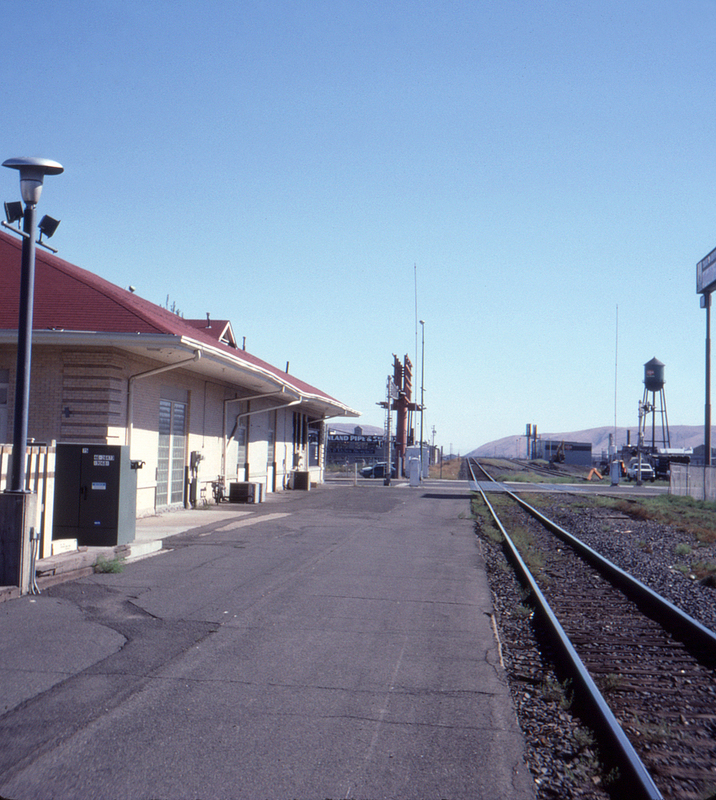 The NP's modest Yakima yard and engine facility were location just on the other side.